● Windows 10, Windows 8.1, Windows 8 and Windows 7. ● The minimal hard disk space requirement for Sequencher on Windows is 280 MB. ● The minimal memory requirement to run Sequencher on Windows is 3 GB RAM. ● The minimal requirement to run DNA-Seq and RNA-Seq Tools is 580 MB of free hard disk space. ● Working with DNA-Seq and RNA-Seq data requires an additional 8 GB RAM. For GSNAP, at least 16 GB is recommended. ● Mac platforms: 10.7, 10.8, 10.9, 10.10, 10.11, and 10.12. ● The minimal hard disk space requirement for Sequencher on Mac is 355 MB. ● The minimal memory requirement to run Sequencher on Mac is 8 GB RAM. Working with DNA-Seq Tools for NGS data requires an additional 6 GB RAM. For GSNAP, at least 16 GB is recommended. 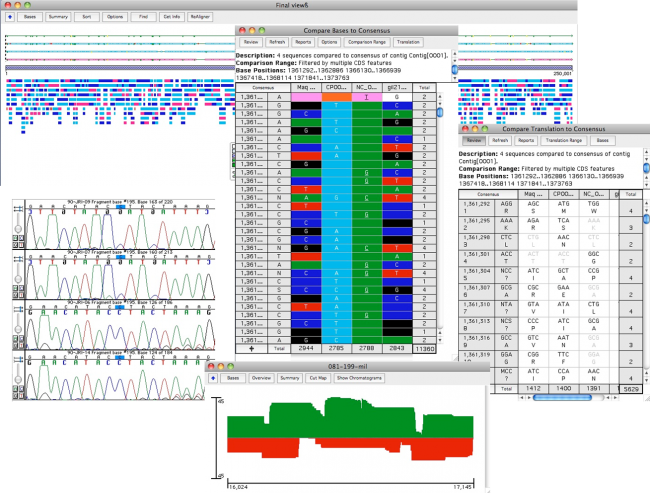 Gene Codes Corporation announces the release of Sequencher 5.4.5, DNA Sequence Analysis Software. This new release focuses on ease of use and efficiency. Sequencher 5.4.5 reinforces Gene Codes' commitment to give clients software that is both powerful and easy to use. Sequencher 5.4.5 expands on the large genome functionality. The BWA-MEM and GSNAP plug-ins for NGS alignment now output BAM files instead of SAM files. This small change has a big impact on several aspects of NGS sequence analysis. For starters this drastically reduces the storage requirements for NGS analyses. 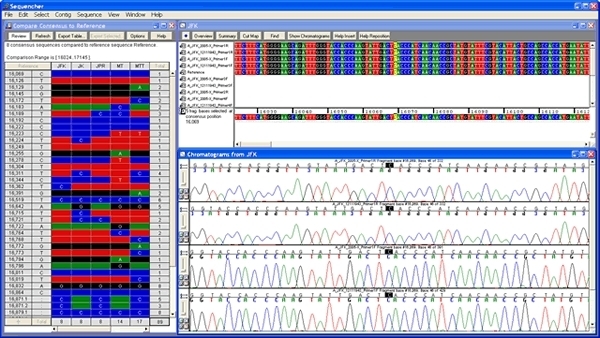 Other NGS tools will also benefit from using BAM files. BAM files will load much faster in NGS viewer programs such as Tablet. The Cufflinks suite requires BAM files as inputs for multiple steps. By eliminating the need for a conversion to the BAM format, the Cufflinks RNA-Seq workflow is faster in Sequencher 5.4.5 than in previous versions. Sequencher's External Data Browser (EDB) has also received an update. The EDB now launches automatically whenever an NGS tool is selected, and it auto-refreshes to update you on a run's progress. A similar feature has been implemented with running FastQC analyses. FastQC runs open automatically once they are completed. 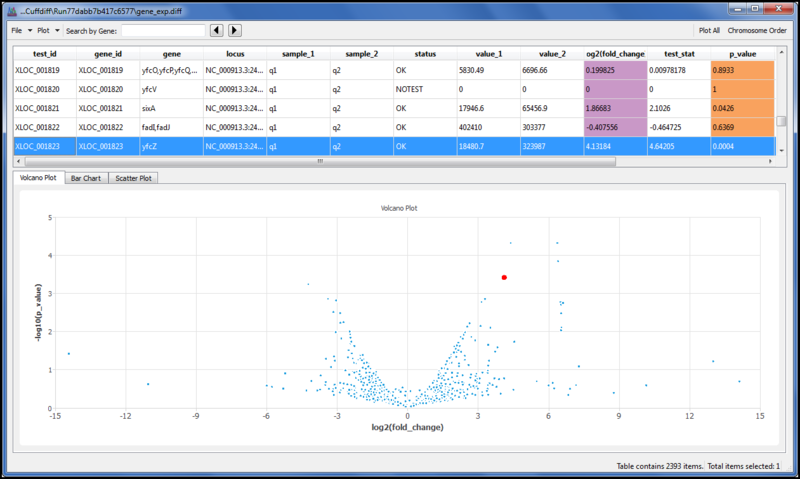 For groups of 5 or more FASTQ files the user is provided with the option of selecting which FastQC analyses to visualize. Another improvement in Sequencher 5.4.5 is that users can now create permanent NGS reference indexes/databases from a consensus sequence in the Project Window, in addition to creating them from external sequences. On the Sanger side of things, Sequencher 5.4.5 has a new feature called "Batch Revert Trim Ends" which gives the user even finer control over sequence trimming. You can use this feature to selectively restore any number of 5' or 3' bases if you've trimmed too much. This feature will work with or without chromatogram data. 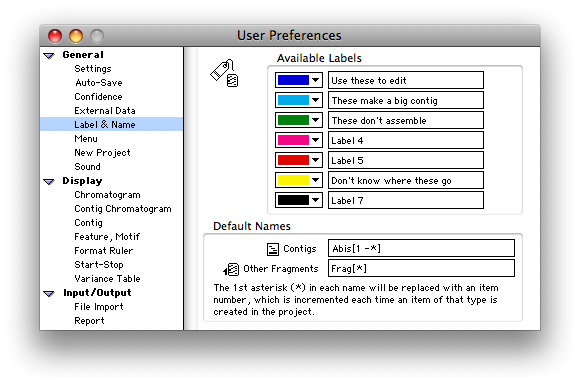 Last but certainly not least, users can now customize the font size in the project window. The average monitor has continued to grow in size so this should be a nice change for those who wish to use higher resolutions with bigger monitors. Powerful Reference Sequence and the Variance Table find SNPs quickly and easily. Are you frustrated that most bioinformatics software programs are hard to learn? Imagine DNA software that is so easy to learn and fast to use that you save hours a week, giving you more time in the lab...What could you do with all that extra time? Sequencher from Gene Codes Corporation helps you go from DNA sequence data to results easier and faster than ever! Almost 20 years of daily use by biologists in labs around the world have refined Sequencher’s tools and interface. You get the power & speed to get accurate results from your DNA analysis, and get back into the lab more quickly!